The Japanese Trojan Club is pictured in the 1942 edition of the USC yearbook, El Rodeo. Believed to be present in the photo are Kody Kodama, Henry Kondo, Jiro Oishi and Hitoshi Sameshima, who is expected to receive an honorary degree during the university’s commencement on May 11. 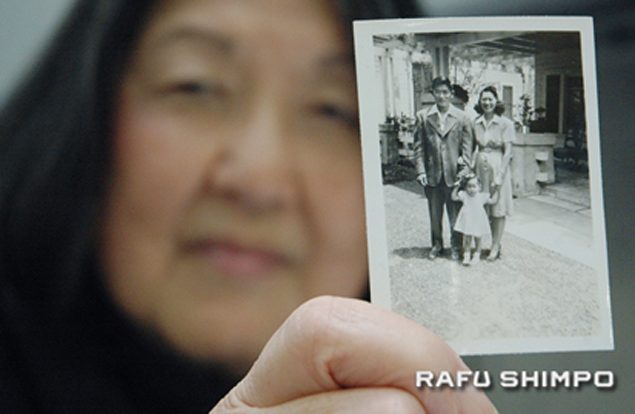 USC is still searching for Nisei former students to join the graduation ceremony. A list of the 1942 club members, as printed in the El Rodeo, appears below. Two years ago, commencement ceremonies across California took on an air of justice served, as colleges and universities statewide honored scores of Japanese Americans who were forcibly removed form their homes and schools, rounded up and sent to internment camps for much of World War II. The nationwide hysteria that was launched with the attack on Pearl Harbor made anyone of Japanese descent–including U.S.-born Nisei–suspect in the eyes of many citizens and government officials. When President Roosevelt signed Executive Order 9066 in February, 1942, the educations of Nisei students began to grind to a halt. In 2009, State Assembly Bill 37, the California Nisei College Diploma Project was signed into law. The bill, authored by Assemblymember Warren Furutani, directed all state universities and colleges to award honorary degrees to displaced Japanese American students. From north to south, graduation ceremonies across California had the added emotion of justice delayed but ultimately not denied, as former students–mostly in their 80s and 90s–traveled to accept the honors. For those who had passed away in the decades prior to the state law, family members attended to accept degrees on behalf of their loved ones. One glaring exception stood out, however. The University of Southern California was exempt for the law, as were all private institutions. USC, citing a policy of never awarding honorary degrees, decided not to participate. 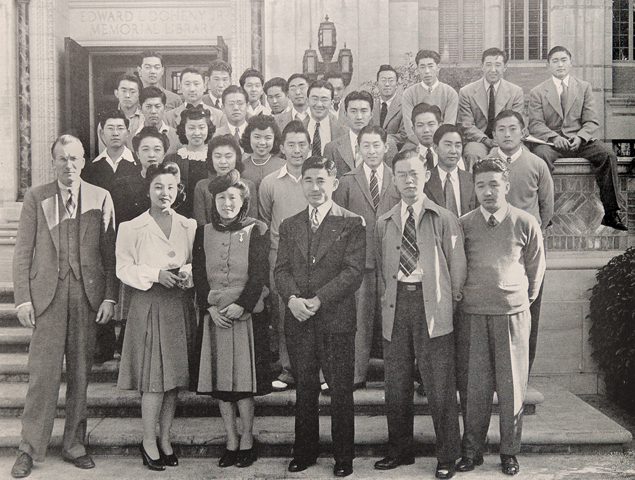 Two years earlier, the university had reached out to several Nisei students, granting them Honorary Alumni status. Earlier this year, USC announced it would break away from its policy against honorary degrees, and award bachelor’s and master’s diplomas to Japanese American students who were forced to leave their studies. The shift marked a dramatic about-face for the university, which steadfastly resisted such a gesture while most other colleges in California were embracing the chance to help right a wrong. President C. L. Max Nikias will confer the Honorary Baccalaureate and Honorary Master’s degrees at this year’s commencement ceremony on Friday, May 11. Scott M. Mory, who heads the university’s Alumni Association said the association was “proud and fortunate to be able to recognize our Nisei alumni” and applauded the efforts Jonathan Kaji, past president of the USC Asian Pacific Alumni Association, in bringing the plan to fruition. Azusa Pacific University associate professor Evelyn Shimazu Yee was instrumental in organizing her school’s efforts in locating Nikkei former students and presenting them with honorary degrees. In December 2010, the university awarded some 24 diplomas to former students or their representing families. Even after the armistice, biases against Japanese Americans lingered, and many families experienced pronounced difficulty in finding meaningful employment at what would have been considered decent wages. As a private institution, APU was in no way compelled to participate in the Nisei Diploma Project, and Yee admitted there were some dissenting opinions. She said she had to take a delicate approach in convincing school officials to take part in the movement, and that such a strategy would be well-advised in trying to persuade USC to do the same. “You get many more bees with honey,” she said. A fair amount of credit for the decision to grant the degrees lies in the efforts of USC Nikkei and Asian Pacific American Student Services, the student organizations that began work on the project when statewide, the idea was in its infancy. The group worked to spread awareness of the issue within the student population by collecting signatures on petitions, hosting forums and garnering support from student organizations and the city of Los Angeles. They eventually made a formal request of the university’s honorary degree committee. While the students welcomed the university’s decision to award the degrees, they were left somewhat unfulfilled, by one small, yet potentially devastating caveat in the new plan. Among those expected to be present to receive an honorary degree on May 11 is Hitoshi Sameshima. Currently a well-known volunteer at the Japanese American National Museum in Little Tokyo, he left USC in the spring of 1942 and was interned at Gila River, Arizona, before joining the Military Intelligence Service in 1944. “I was very happy to learn that they are doing this,” Sameshima said in a Rafu interview last Friday, his 91st birthday. He is not, however, completely satisfied. Pfc. Kondo left Gila River in 1943 and joined the 442nd Regimental Combat Team, a unit composed of Japanese Americans, many of whom volunteered from the internment camps. Kondo never got the opportunity to finish his pharmacy degree after the war, however. On Oct. 19, 1944, the 21-year-old, the oldest of four siblings, was killed in the Battle of Bruyeres in France. Unlike Sameshima, there will be no honorary USC diploma for Kondo’s family to claim. The university has decided that such degrees will be given only to former Nisei students who are still living. Sameshima and Kondo lived similar lives on their way to war. Both Pasadena natives were model citizens who served their communities well, and when duty called, they both agreed to defend the very nation that had unjustly imprisoned them. These men are true American heroes, members of the most highly decorated units our military has ever known, both praised for their courage and leadership in the worst of times, and both among those recognized last year with the United States Congressional Gold Medal, the highest honor our government can bestow. Yet, the University of Southern California sees fit to fully recognize one man’s efforts over another, simply because he is still living. There has been a groundswell of protest from across the Japanese American and Asian American communities. In an op/ed piece to the Rafu, Furutani wrote, “Reading the names of those Nisei who were yanked out of USC by Executive Order 9066 and giving an honorary degree posthumously to the family would go a long way…” adding later that the university’s brilliant reputation has been tarnished by the administration’s current stance. Mory would not comment directly on the controversy when contacted by the Rafu, saying that the university does not wish to minimize the concerns or in any way diminish the suffering of the students who were forced out of school during the war. “We are hopeful that Nisei who are still living and able to attend will do so,” Mory said. At the recent anniversary dinner held by APASS, famed civil rights attorney Dale Minami bemoaned the current policy using a metaphor from perhaps the most beloved of all Trojan traditions: football. “They marched down the political field, but they’re fumbling on the one-yard line,” he said. Minami later explained that while no one likes to be forced into an action, the university may lack a frame of reference to fully understand the impact of its well-meaning gesture. Following the humiliating experience of the internment camps, many Japanese Americans returned to find a slew of new indignities awaiting them. From locating housing to securing employment, even being served in a restaurant, the world they had known had become a far less hospitable place. For several students who sought to reassemble the pieces of their derailed education, USC proved no more welcoming. While there was scattered resistance to the re-matriculation of Nikkei students at colleges across California and the west, author Roger Daniels explains in “Concentration Camps USA: Japanese Americans and World War II” that USC erected a particularly effective roadblock by denying transcripts to students who wished to transfer to other universities after evacuation. Von Kleinsmid, who during his tenure as president was named the university’s “chancellor for life,” has long been the focus of pointed criticism for his presumed lack of empathy for Nikkei students who were forced from school. USC archivist Claude Zachary, whose duties include the care of the university’s collections of presidential papers, acknowledged the historical evidence that points to von Kleinsmid’s direct involvement in denying transcripts, but also described him as an internationalist who traveled the world extensively, and whose writings show a welcoming of all cultures that eventually led to the formation of USC’s School of International Relations. Defense of von Kleinsmid may be a taller order, however, for the family of Jiro Oishi, who returned from imprisonment at Gila River to a decidedly uncooperative administration at USC. The young man was leaving his El Monte home for the last final exam of his senior year, when his mother suggested he make one stop on his way to school. Oishi spent nearly a month in a Montana federal prison before a judge determined he had been mistaken for a Goro Oishi – a man at the age of 67. Oishi eventually completed a bachelor’s degree at UC Riverside, after that school was more willing to work with him in determining which classes he had completed at USC. Kumamoto said many in her family were surprised when they learned her father had not graduated from USC. Oishi died in 2003, making the former student – who was one exam away from his diploma – ineligible for the upcoming honorary degrees. Kumamoto also indicated that her uncle may have had the same experience in attempting to obtain his transcripts from USC. She described USC’s current policy on honorary degrees as a “slap in the face” for the university’s many Asian American students, which includes some 25 percent of the Fall 2011 freshman class. Minami hopes to remind USC that the basis of redress and reparations is, ultimately, healing the hurt. He said USC has come a long way since its initial position of not awarding honorary degrees and the latest efforts toward righting a wrong should not be brushed aside, even though many are not yet included. “They could be so much better, they could shine so much brighter, if they just take that extra step,” he said. Rafu English Section Editor Gwen Muranaka contributed to this report. 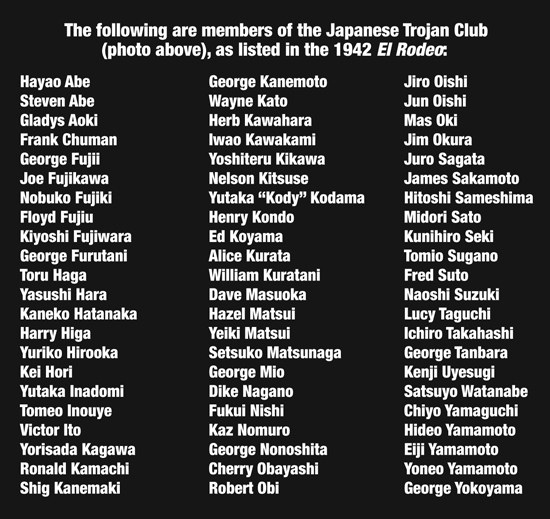 The list of 1942 Japanese Trojan Club members is here. The list of names for The Japanese Trojan Club includes a “Yutaka” Inadomi. That is clearly an error…the only Inadomi attending USC in 1942 was Yoshiharu Inadomi, usually called “Yosh”. In the photo he is seated in the top row, far right. Thank you for your comment. I double-checked and the name is listed in the 1942 El Rodeo as “Yutaka Inadomi.” It must have been an error made at that time. We can certainly make a correction. Is it possible that there was more than one Inadomi at USC in 1942? Thanks for your reply. I figured the error was made by “El Rodeo”. Definitely only one Inadomi at USC at that time. No need to make a correction….thanks anyway.